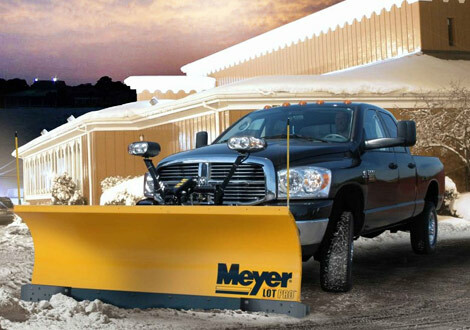 In 1926, Meyer Products began building snowplows and salt spreaders on a farm in Newburgh, New York. It was then and there Meyer became the innovator, pioneer and leader in manufacturing highly reliable snow and ice control equipment. Throughout our years in business, Meyer has been fully committed to fulfilling our customer’s needs and expectations. Your vehicle can handle a lot. Why not have it help you control ice and snow? 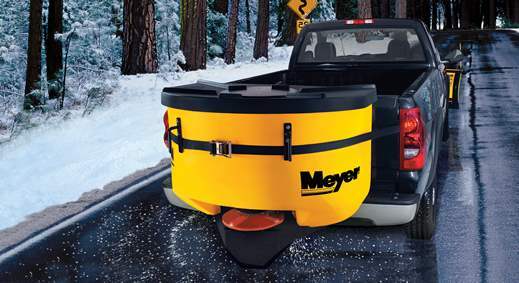 Add one of Meyer’s powerful tailgate spreaders to turn your truck, tractor, SUV or even your utility vehicle into an ice-melting machine. 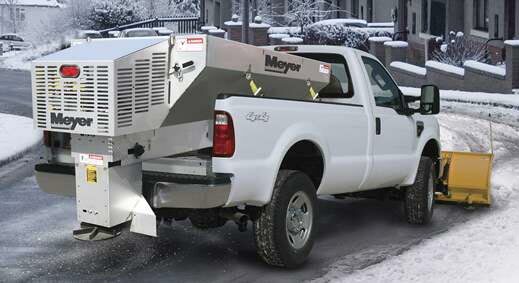 Transform your pickup truck, utility vehicle or ATV into a salt-spreading champion with one of Meyer’s insert hopper spreaders. Ideal for large-scale spreading jobs and perfect to pair with one of our commercial plows to create a truck that’s built for tackling snow. Turn your dump truck into a salt truck with a Meyer under-tailgate spreader, a replaceable tailgate spreader, or a cross conveyor. 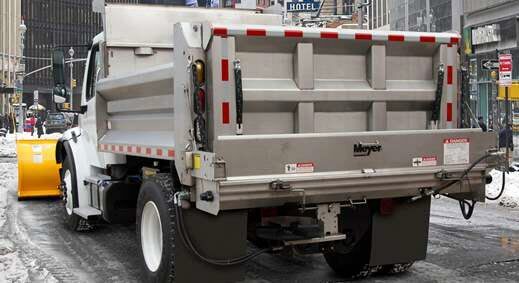 Meyer offers a range of dump truck-specific spreaders. You may also want to consider a Meyer Insert Hopper for your dump truck. Meyer knows walk-behind spreader uses are diverse, that’s why we provide so many options. Whether you’re looking for a broadcast spreader for year-round use or a drop spreader to melt ice along narrow walkways, Meyer has a spreader for you. 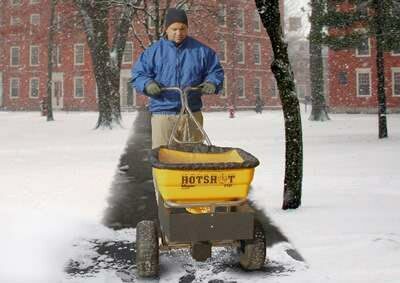 Take charge of winter with Meyer Anti-Icers, and pre-treat areas that need to remain open during winter storms. 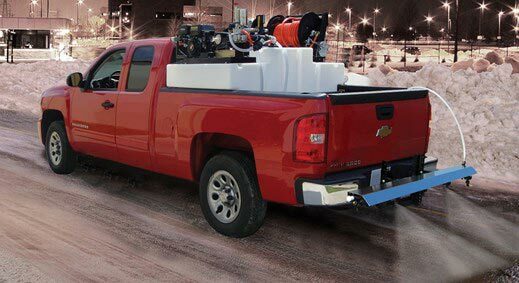 These high-performing, professional-caliber machines fit into the bed of pickup trucks and ATVs and disperse a brine mixture that prevents snow and ice from bonding to pavement.